Every woman deserves to have that fairy tale wedding shes always dreamed of, along with the perfect hair and makeup to match how she feels on her wedding day. 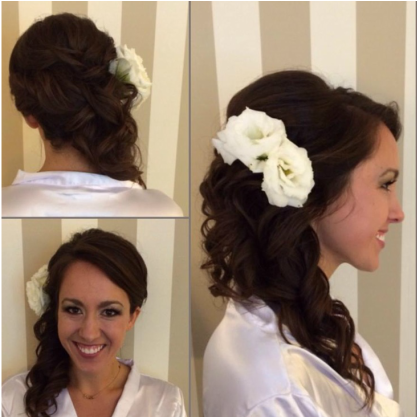 From a Sleek to a Soft Romantic Updo , Salon Moxie can give you the look that you've always wanted. In Salon and Traveling Services are offered. For large parties more than one stylist and make up artist may be required to make sure your day runs smoothly and you are out by the requested time. Your appointments will not be secured until the Contract has been received. Please do not hesitate to contact us with any questions or concerns you might have. We look forward to working with you on your special day!